What would you do if the money you want actually came into your life? You just may have to decide. Making money with magick doesn’t have to be baffling. But you should know, this doesn’t work for everybody. This is safe, effective magick, and as you can see from the reviews, it works well for most people. But it works best when you have a calm, casual confidence, rather than a desperate need. If you demand that magick proves itself to you, the magick will fall flat. If you perform this simple magick with calm confidence, it can work for you, as it does for most people. Don’t buy the book if it’s going to be a financial burden to you. Although magick can release money for those who are ready to receive, magick amplifies your emotions. If the cost of a small book makes you flinch, that feeling of loss and lack might transfer to your magick. Wait until you feel free enough, and confident enough, to use this magick. 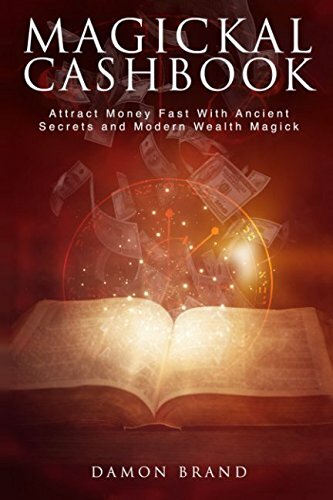 If you want to investigate an occult power that works, this mix of ancient symbols and modern secrets can get money flowing into your life. Damon Brand has taken the best parts of this secret system and turned it into a series of steps that get money magick working for you fast. The reviews say it all. This magick works for most people, which is quite amazing. If it doesn’t work straight away, you’ll find many articles on The Gallery of Magick website that can help you get past your financial blocks. If you’re relaxed about money magick, it can be quite thrilling. The magick itself is extremely easy to perform. Can you imagine what it would be like to feel your magick working? Don’t wait for things to change. Use magick and make the changes you want now.